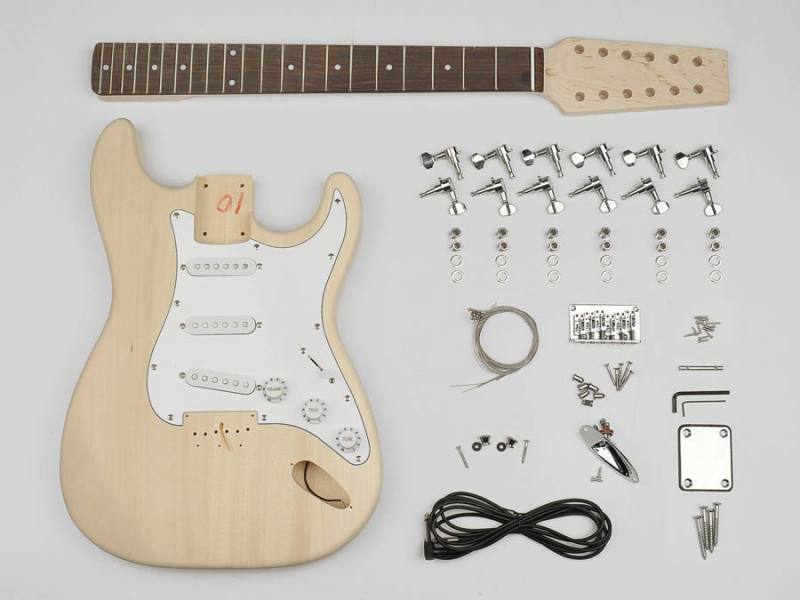 guitar assembly kit, Stallion model, basswood body, 21 frets, 12 string model How great would it be to build your own guitar and then storm the stage with it? Even if you are a dreadful handyman, you can use the DIY kit from Boston very easily. It does not need to be cut, drilled or milled, as it is all done for you. The neck is already equipped with frets and neck and the body is already aligned. 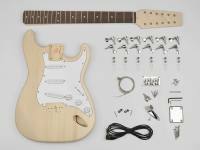 All supplies (except equipment) are included in the package such as elements, screws, potentiometers, switches, tuners and strings. Furthermore you can of course enjoy them with paint and/or specify the color or gloss you want. If you wish to continue viewing the wood grain, then the clear coat is an excellent choice to emphasize the grain of the wood. The DIY guitar Boston is a fun, easy and creative way to create your own unique guitar. They are available in several models of hollow body, flying V, double neck, LP and straight to an acoustic dreadnought. Also, left-handed and 12-string is possible.